Who’s the most important member of a Monster Energy NASCAR Cup Series team? Some will say the driver and others might argue the crew chief. Cases could be made for mechanics, pit crew and spotters, but No. 14 ITsavvy Ford driver Clint Bowyer suggests someone who probably wouldn’t make the list of most race fans – the Information Technology (IT) guy. 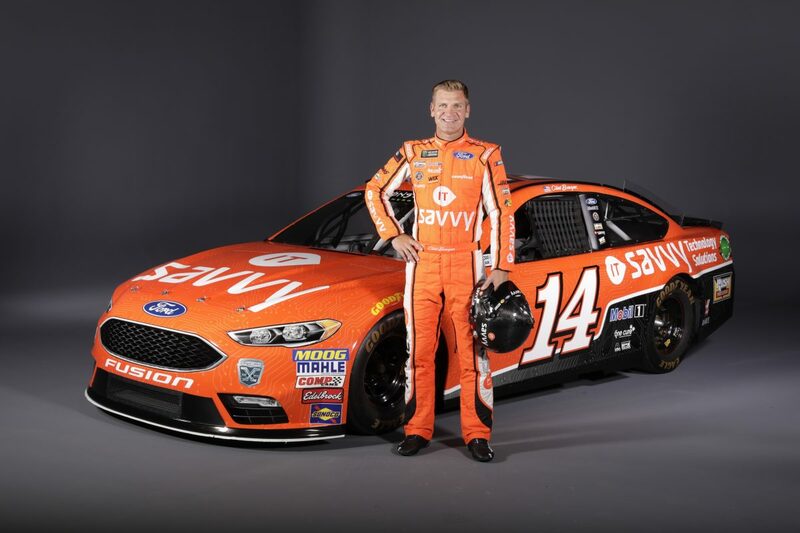 It’s fitting that, this weekend at Richmond (Va.) Raceway, Bowyer and SHR debut ITsavvy (pronounced I-T-savvy) as a new primary sponsor in the Cup Series. The Addison, Illinois-based company is one of the fastest-growing resources for integrated IT products and technology solutions in the United States. ITsavvy has catapulted from a Midwest start-up to a national leader in IT products and solutions, very rapidly. ITsavvy will also serve as the primary sponsor on Bowyer’s No. 14 Ford at ISM Raceway near Phoenix later this season. Bowyer hopes the relationship will provide a competitive advantage to the No. 14 team and his SHR teammates. ITsavvy appears on the No. 14 at a critical time in the 2018 season. Bowyer heads to Richmond 11th in points after finishing 23rd in the playoff-opening race Sunday at Las Vegas Motor Speedway. To advance to the second round of the playoffs that begin in two weeks, Bowyer must be in the top-12 among the 16 playoff drivers after the Richmond race and the new road course “roval” event at Charlotte (N.C.) Motor Speedway. Since the winner at each track automatically advances to the next playoff round, Bowyer has come up with a simple solution to any potential drama at Charlotte. Bowyer has won twice at Richmond and posted 13 top-10s in 25 start at the three-quarter-mile oval. In April, he led 45 laps and finished second in Stage 2 before finishing ninth in the race. There would be no better time than Saturday night in a playoff situation at Richmond to add a third win to his 2018 resume. If he does visit victory lane, the Emporia, Kansas native will have a long list of corporate partners, crew members and supporters to thank – especially the IT guy. What are your thoughts on Richmond Raceway? Can you win the championship?